Hang Ups Picture Framing is gay owned and run. 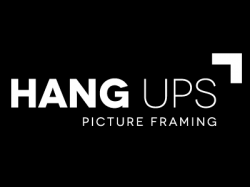 Hang Ups provides high quality picture framing, hanging systems, conservation work, art, mounting and framing supplies..
We believe that perfection should always be our benchmark, no matter what your budget is or what you’re framing. We provide professional framing services, hanging systems, mirrors, designer art, framing materials, mounts and accessories. 18 years of experience can offer. all our customers. If you’re not completely happy with our work we’ll redo it.